Monsters of Pork brings together some of Boston's 'masters of meat' for an educational afternoon of heavy metal lamb butchery demonstrations, lamby treats, and tasty beverages. The demonstrations will cover where on the lamb different cuts come from, how to prepare these cuts, and possibly a look at "how the sausage is made". All lamb for this event is American lamb generously provided by the American Lamb Board. 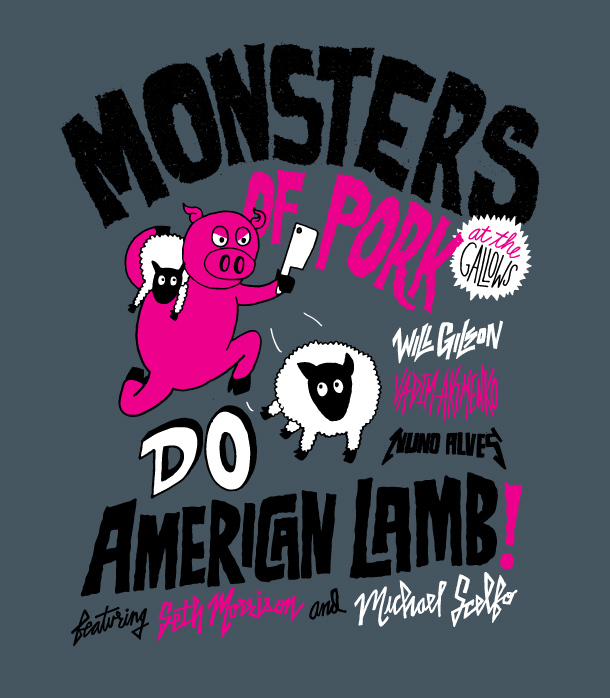 On 4/2 the Monsters of Pork are very excited to feature Chef Seth Morrison from host restaurant The Gallows and the 'Boston Lambassador' Chef Michael Scelfo from Russell House Tavern. With your ticket, you will get to sample American lamb bites, watch lamb butchery demonstrations, and receive a complimentary Jägermeister cocktail. 1 entry to Monsters of Lamb.